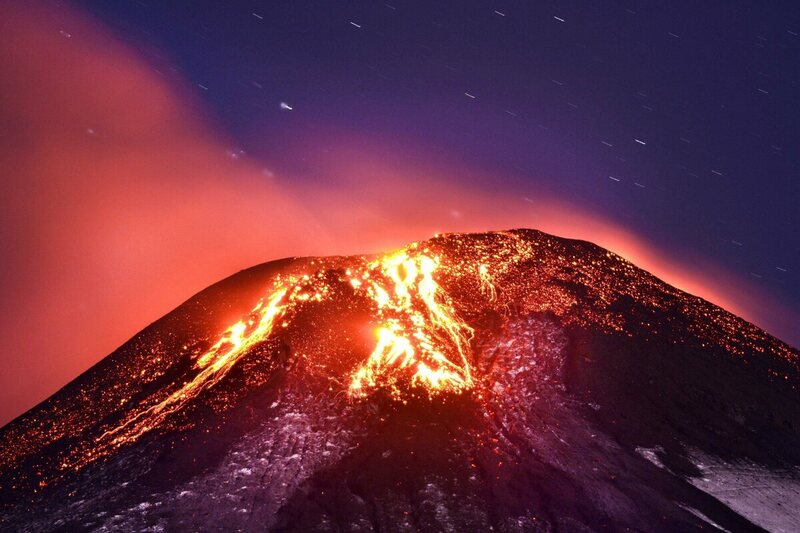 LOOK: Pictures Of The Villarrica Volcano's Eruption In Chile : The Two-Way The volcano spewed heavy smoke into the air and lava down its slopes, prompting the evacuation of thousands of people in southern Chile. The eruption of the Villarrica volcano in southern Chile has prompted the evacuation of thousands of people, as it spewed heavy smoke into the air and lava down its slopes. The 9,000-foot volcano hovers over the city of Pucon, home to about 22,000 people. "It was the most amazing thing I've ever seen," Travis Armstrong, a 29-year-old Australian tourist, told The Associated Press. 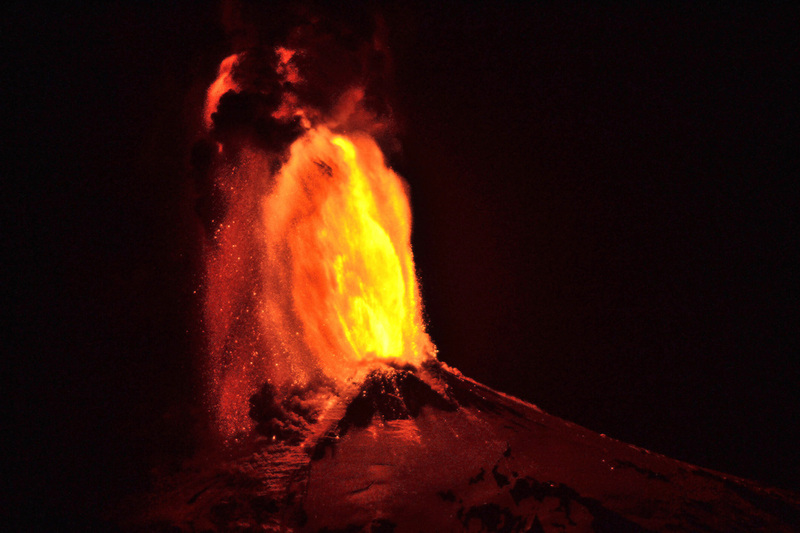 "I've never seen a volcano erupt and it was spewing lava and ash hundreds of meters into the air. 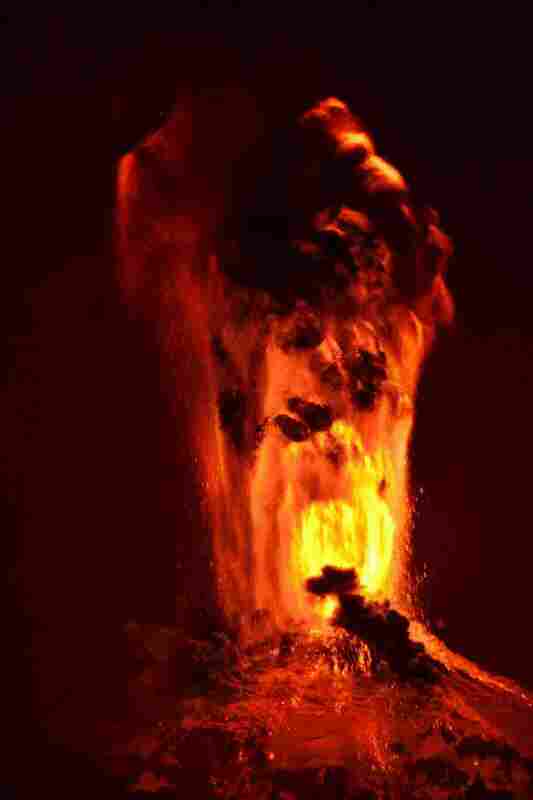 Lightning was striking down at the volcano from the ash cloud that formed from the eruption." 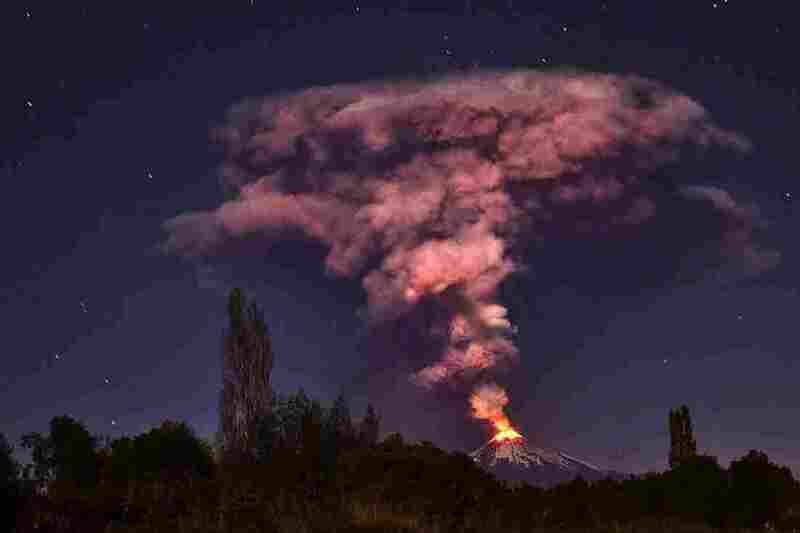 Ash and lava spew from the volcano, as seen from Pucon, Chile. A general view of the Chilean volcano Villarrica, erupting near the town of the same name, some 466 miles south of Santiago.